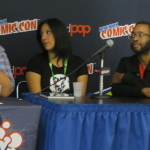 AMBER LOVE 19-OCT-2015 This is the “Action Lab 5 Years in the Making” panel recorded at New York Comic Con. 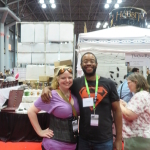 This post also includes my visits to the Action Lab Booth, which at NYCC, is always a fun madhouse. 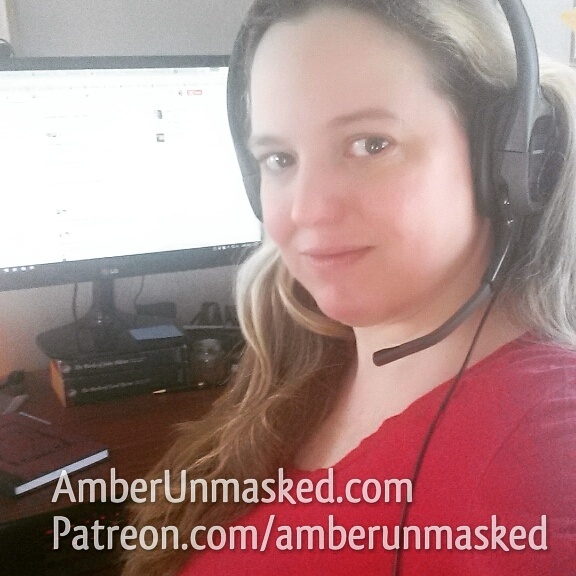 You can sponsor the show and the site at Patreon.com/amberunmasked. Download on iTunes, Stitcher, or listen here. 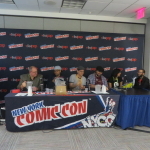 The panelists were Bryan Seaton (Publisher), Shawn Pryor (Creator, Cash & Carrie), Kyle Puttkammer (Creator, Hero Cats of Stellar City), Jeremy Whitley (Creator, Princeless/Raven Pirate Princess), Enrica Jang (Red Stylo Media anthology publisher), and Jamal Igle (Director of Marketing); moderated by Vito Delsante (Creator and Associate Director of Marketing). I missed about the first three minutes. The panel was well run for the number of panelists; they could have organized the content better by imprint/age appropriateness though. It skipped around a lot like going from a tween comic like Nutmeg to Holy F*cked. I don’t think there were any kids in the audience though. The one thing that was pointed out was that they front loaded the presentation with the titles featuring female protagonists. The audience looked evenly split in gender and white/PoC people in approximately 30 adult fans and bloggers including @Beauxknows_ and @MizCaramelVixen. 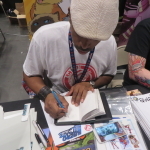 There were some big announcements from Shawn Pryor about his return to comics. 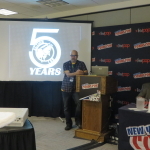 Plus, Action Lab announced their expanded licensing and what’s to come in their partnership with Full Moon Features (Puppetmaster, The Gingerdead Man). The Herald: Lovecraft & Tesla series has been optioned for television. 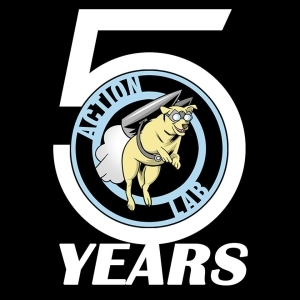 As far as the Action Lab superhero line, they are going to unite them in a shared universe called Actionverse with a series featuring the different characters like Molly Danger, Stray, and Midnight Tiger. The first thing they did, which I missed on the recording, was explain their new ratings system for categorizing content into reading levels. It’s a fantastic step in the right direction, but as you’ll hear me at the end during the Q&A, I think the “E” for Everyone and “A” for “All Ages” is confusing. All means Every, in my opinion; and here “A” doesn’t even mean small kids like other publishers’ ratings. 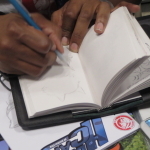 As always, ask your retailer for suggestions or if you read digitally, just reach out to the staff or creators directly through Twitter or Facebook; even putting a general question out there to Twitter will likely get you a reply from fans or bloggers who know the material. Many of the Action Lab creators have been on Vodka O’Clock before: Susan Beneville from Awake wasn’t at the panel but she was also a recent guest on ep 1536; Marcus Williams was at the show but not at the panel and he was a guest on ep 1510; Jeremy Whitley ep 1537; Shawn Pryor ep 1530; Vito Delsante ep 1508; Jamal Igle way back on 1418. 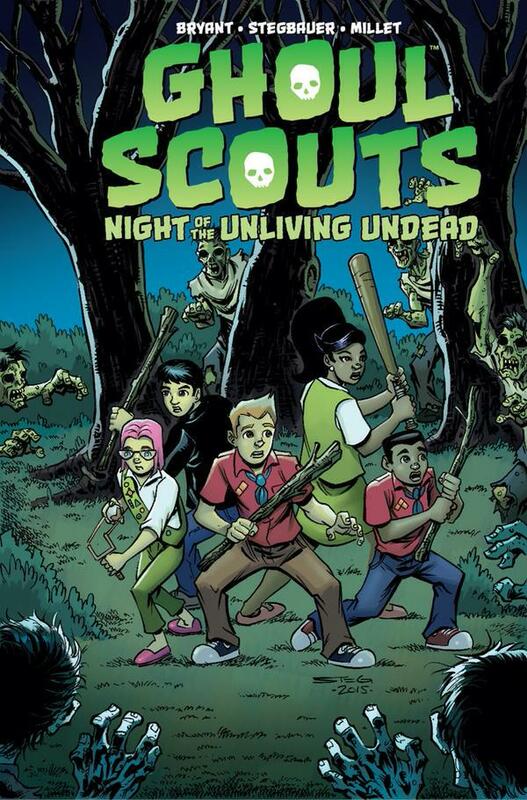 Looking forward to some new titles like Action Lab: Dog of Wonder, Superhuman Resources, Zoe Dare, and Ghoul Scouts. 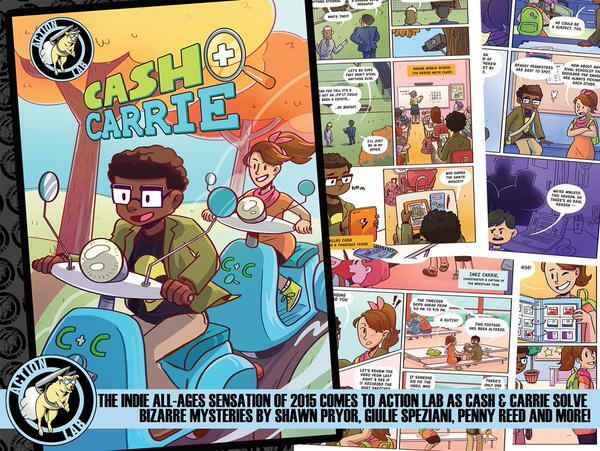 The Action Lab catalog is HUGE. I mean, MONSTROUSLY HUGE! The titles I’ve listed here are only the ones that I know will fit my reading taste. 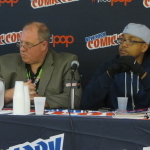 I know Shawn Pryor and B. Alex Thompson’s F.O.R.C.E. comic about football will be solid storytelling, but it’s not my area of interest. 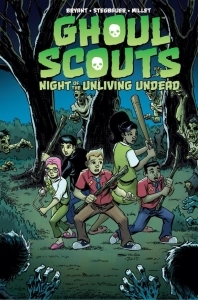 And I think the Full Moon Features lineup of comics was over a dozen new titles. 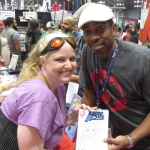 Last year when I got to meet artist Marcus Williams, I had one of “those moments” that fangirls go through. I was blushing and giddy and grinning like the Joker. I adore Marcus’ work on Hero Cats and the new concept work he’s been posting for Super Natural. 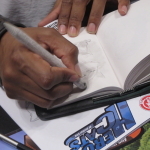 This year, I got to see Marcus again and finally meet the Hero Cats writer, Kyle Puttkammer, who does not fashion himself as an artist; but he still sketched on a Hero Cats cover for me and it was far better than a writerly sketch I could do. 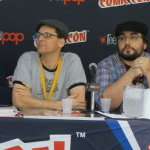 They’re both wonderful creators and very sweet to their fans. 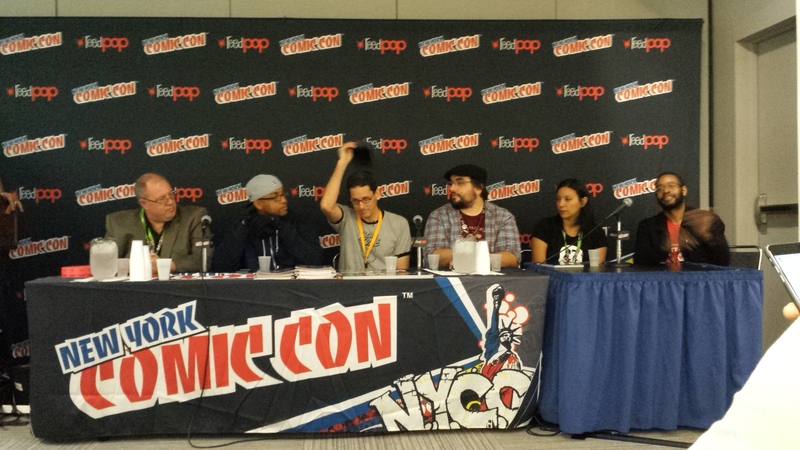 And I’ll say, that side of the booth was never not swarmed by fans. 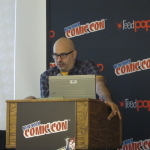 I was interviewed by @PREVIEWSworld!